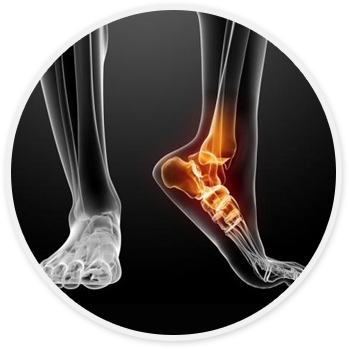 Poor foot structure can result in abnormal walking, foot instability and abnormal pressure areas. These biomechanical conditions, which are numerous, can affect children, adults, athletes and the elderly. Treatment for improper foot mechanics consists of proper footwear and orthotic devices to realign and maintain the anatomical angular relationship between the segments of the feet and legs. Achilles tendonitis is a condition wherein the Achilles tendon, at or near insertion to the posterior aspect of calcaneus, (heel bone) becomes inflamed and causes pain. The Achilles tendon is one of the longest and strongest tendons in the body. It is avascular and therefore slow to heal. The Achilles tendon attaches at the heel bone and runs up the bottom of the leg to the calf. An important factor to be considered is that of abnormal pronation or abnormal supination. Faulty biomechanics may be the blame for the disorder. When the Achilles tendon is activated it pulls the foot into plantar flextion (that is, it lowers the front part of the foot towards the ground). When a person is walking, running or engaged in athletic activities, the calf muscle acts to decelerate the lower leg and foot (when the heel is planted on the ground, the calf muscles prevent the lower leg from going forward too fast and causing an imbalance). The action of the calf muscles strains the Achilles tendon- but not abnormally, unless a problem exists like abnormal pronation or abnormal supination of the foot, which tilts the heel bone to the inside or the outside. When that happens, the Achilles tendon will be pulled, perhaps beyond its comfortable limit, to compensate for the tilting heel bone. The ilio-tibial band runs over the outside part of the knee joint. If stretched too tightly, the friction occurring when it contacts the kneecap will irritate it. The band may be overstretched because it is poorly developed or very short causing it to be abnormally tight to begin with. Also, a badly overpronating foot will produce an internally rotating leg, and that situation will also stress the band unduly. Occasionally the ilio-tibial band friction syndrome will be caused by too much hill running, or by running constantly on uneven, rough terrain. Metatarsalgia is not an injury; it's actually a symptom or a group of symptoms. These may include pain in the ball of the foot, with or without bruising, and inflammation. 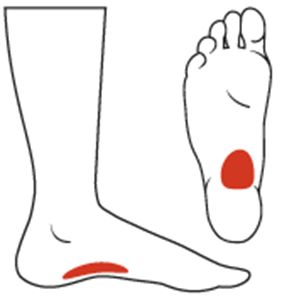 It is often localized in the metatarsal heads or it may be more isolated, in the area near the big toe. One of the hallmarks of this disorder is pain in the ball of the foot during weight-bearing activities. Sharp or shooting pains in the toes also may be present, and pain in the toes and/or ball of the foot may increase when the toes are flexed. 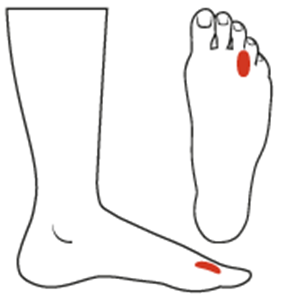 Accompanying symptoms may include tingling or numbness in the toes. It is common to experience acute, recurrent or chronic pain as a result of this problem. 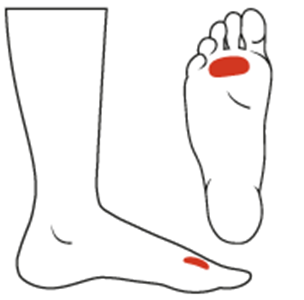 Metatarsalgia develops when something changes or threatens the normal mechanics of the foot. Ultimately, this creates excessive pressure in the ball of the foot, and that leads to metatarsalgia. Certain foot shapes contribute to metatarsalgia. A high-arched foot, or a foot with an extra-long metatarsal bone can cause pressure on the forefoot region and contribute to pain and inflammation there. Claw toes or hammertoes can press the metatarsals toward the ground and cause stress on the ball of the foot. Arthritis, gout or other inflammatory joint disorders can produce pain in the ball of the foot. A neuroma is a benign tumor of a nerve caused by an abnormal growth of nerve cells arising in response to an irritation. A neuroma in the forefoot is never more than a simple irritated pinched nerve that has erupted because of constant compression and irritation-either between metatarsal heads, or at the base of the proximal phalanges (the largest bones in the toes). 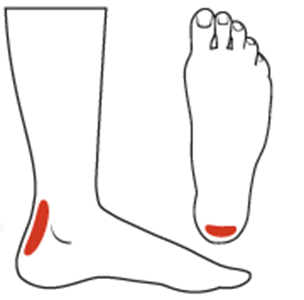 A neuroma may develop when poor biomechanical function of a foot causes a chronic irritation of a nerve, thereby triggering the growth of additional nerve cells. This process continues until the individual requires medical attention, because the discomfort has become too extreme. A second cause of a neuroma is ill-fitting shoes, which squeeze the forefoot and also force it to accept almost all of the body's weight during walking or running. Swelling of the foot for any reason may also cause a neuroma. Athletes, particularly runners, are well aware of the problem of plantar fascia. The fascia is a tendon-like band of tissue that runs on the bottom of the foot. It is attached to the heel bone and to the five metatarsal bones that are situated in the forefoot. The fascia has two tasks to perform: the first is to support the longitudinal arch of the foot, and the second is to help prevent over-pronation. Poor foot mechanics results in the Plantar fascia being twisted and torqued because the heel is stable while the forefoot is over-pronating. This shearing force causes the Plantar Fascia to become inflamed. The weakest part of the plantar fascia is the attachment to the periosteum (fibrous membrane covering the bone) at the heel. When the Plantar Fascia is being twisted, it pulls the periosteum away from the heel and causes the pain. The runner's knee syndrome has its roots in the abnormal motion of the kneecap. It is a condition wherein the cartilage on the back of the patella (knee cap) is irritated and painful because it rubs against the medial femoral condole. The back of the kneecap is covered with cartilage that normally glides smoothly in the groove, but if the kneecap were to move off center in that groove during its motion while a person is in stride, it would rub against the sides of the groove, much like a bowling ball racing erratically down the gutter of the alley. There are three major causes of runner's knee, assuming the joint and the kneecap themselves are normal, and sometimes they all act together to promote the condition. The three are: week or malfunctioning quadriceps muscles above the knee, faulty biomechanics of the foot and lower leg, and a dysfunctional patellar tendon below the knee. A foot that abnormally pronates tends to turn a person's knee to the inside. When that happens, there is undue stress on the knee joint itself, and the kneecap can deviate from its normal path in its groove as the leg tries to compensate for the abnormal pronation. A shin splint is really periostitis (a tearing of the lining of the bone away from the bone), as in the case of plantar fasciitis. It occurs between the knee and ankle joints. 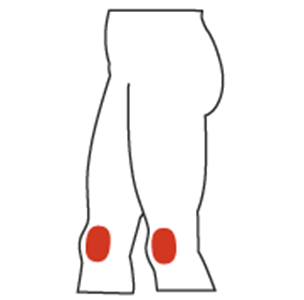 There are two variations of this condition, namely medial and lateral. Which of these you develop depends on where the periosteum (lining ) is being torn away from the tibia, and by which muscle in the leg. 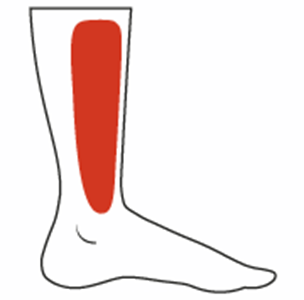 The Tibialis anterior is an anti-pronator due to its insertion on the medial aspect of the foot. During over-pronation the tibialis anterior has to fire constantly to oppose the over-pronation thus causing hypertrophy (swelling) of the tibialis anterior. Due to the fact that the anterior compartment is tightly constricted, the swollen tibialis anterior can cause an obstruction of blood flow which, in turn, can cause severe pain due to lack of oxygen. 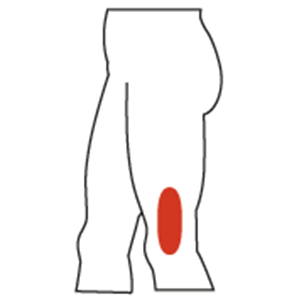 The Tibialis posterior is an anti-pronator due to its insertion on the medial aspect of the foot. During over-pronation the tendon of the tibialis posterior is stretched and pulled upon excessively thereby attacking the weakest area, namely its origin on the periosteum of the tibia. Small pain fibres of the periosteum are torn which causes the pain.